5 Weekend Things + Cecil at 3 Weeks Old! Hi there! I’m just going to dive right into the post today since I’ve got a lot to share with you! 1. I don’t want to brag too much, but I’m a pro at doing long runs on the treadmill. 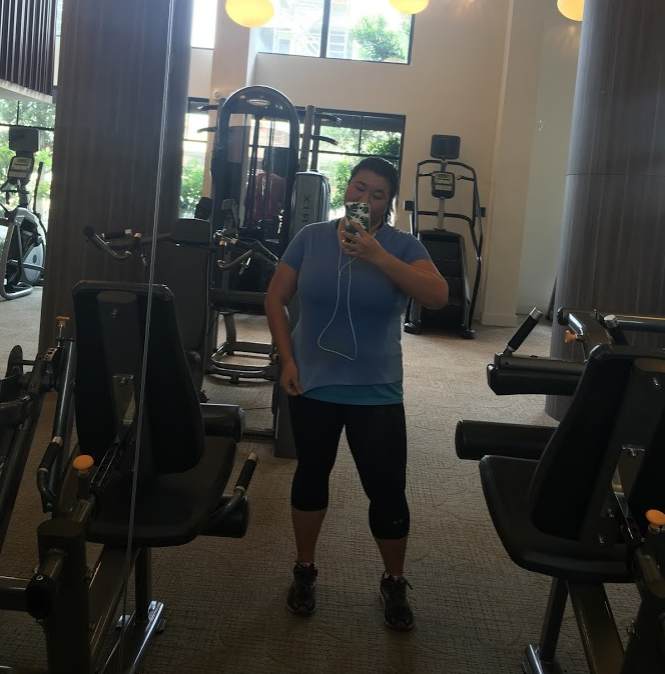 While I’ve been super committed to doing all my weekday runs outside, on the weekends I find it so much more convenient to run on the treadmill. I like being able to sleep in, go for a run and then still have time to make plans for the late afternoon and evening. I also like seeing my shirt change colors from being so sweaty. It gives me a strange sense of pride and satisfaction. If that’s wrong I just don’t want to be right! Have good videos queued up to stay entertained. Sunday I watched a Wayward Pines episode and condo decorating videos on YouTube :). Bring a Gatorade to sip on and make sure you drink often. It’s easy to forget to drink when you’re running indoors but you still need to hydrate! Pause and go to the bathroom whenever you need to just because you can! Running on the treadmill is only mind numbing if you allow it to be. The a/c and easy access to fuel + the bathroom actually makes it a pretty ideal place to do long runs during the summer in my opinion! 2. 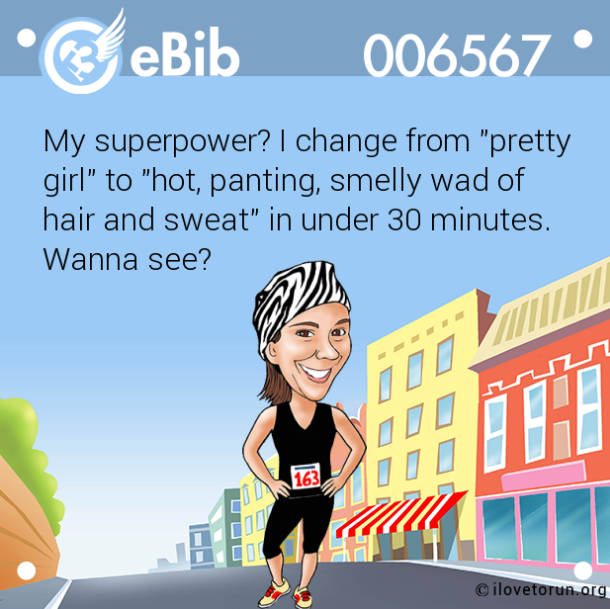 I’m on a mission to get the smell out of my running clothes. Since I’ve been really dedicated to doing all of my weekday runs outside this summer (and because I sweat a lot in the gym too) my favorite running clothes are getting a little smelly. My favorite running bra is getting a lot smelly if I’m being honest since I always wear it during the long run when I sweat the most. Soaking your clothes in vinegar will get the smell out – alternatively you can run a wash cycle with about a cup of white vinegar before you do another normal cycle. Running clothes should be washed in cold water and if you add a cup of baking soda the smell should go away completely. Always leave your wet running clothes out to dry before tossing them in the laundry basket. I actually hang my sports bras and tops on the handle of the bathroom door. This allows them to dry out overnight and reminds me to toss them in the laundry basket in the morning :). My running shoes are also getting a little smelly. Since I run after work they sit in my gym bag all day and sometimes I open the bag and almost die (<<<only somewhat of an exaggeration). 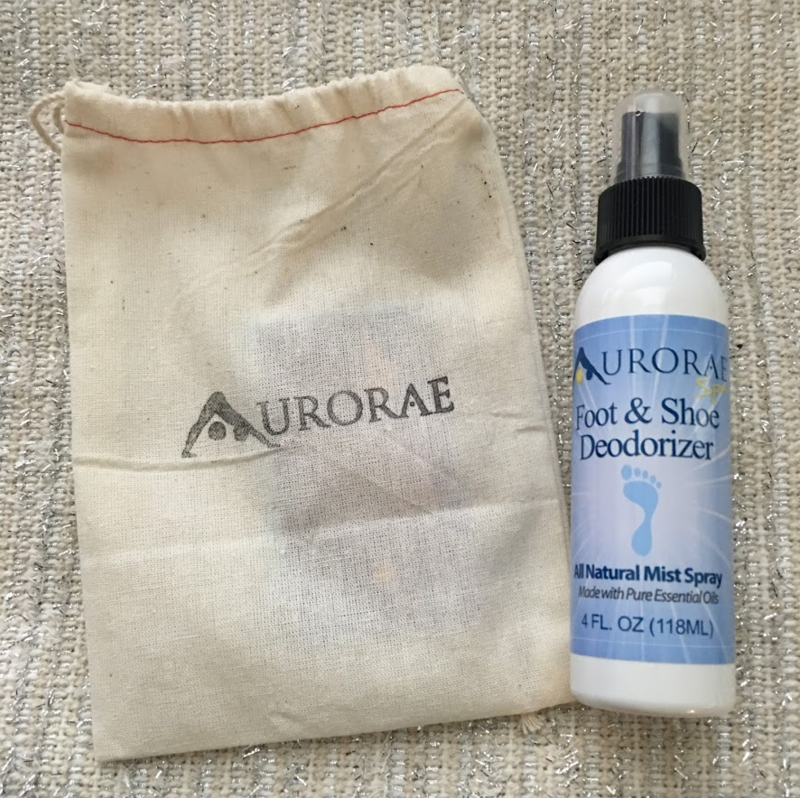 A couple of weeks ago an awesome company called Aurorae reached out to see if I would be interested in trying their all natural Foot & Shoe deodorizer. The spray smells like peppermint and works like magic! Just a couple of spritzes and the smell from all my shoes was GONE. Like, literally, totally gone. The spray is on sale for just $14 on Amazon right now. If you’re in the need, definitely check it out! A big thanks to Aurorae for donating to my Team PAWS fundraiser. I love working with awesome brands that support animals! 3. Cross your fingers for me, I’m bidding on a condo! I’m putting a bid in today on a condo that is just perfect. I love Fort Lauderdale so much and from the balcony you can see the entire city including the ocean. 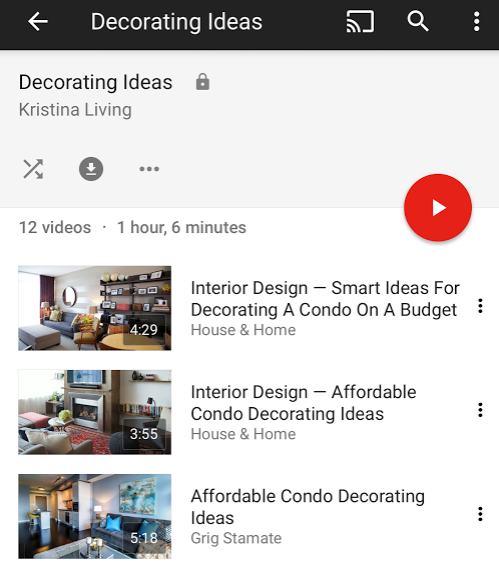 I’m excited about having a blank canvas to decorate – especially now that I have a TON of ideas from decorating videos on YouTube! There are so many amenities at the building that I like (including the gym) but the best part is the surrounding area. There is a park in walking distance which is great because I can break out the stroller and take Cecil for walks! I know I am completely crazy, but I just want him to experience as much of the world as a little indoor cat can :)! 4. 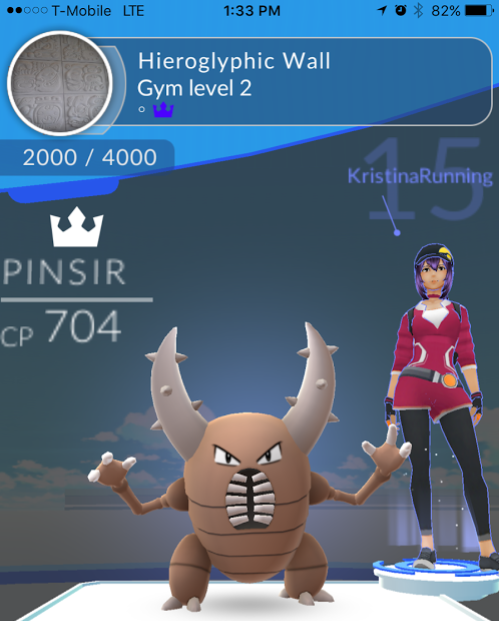 I took over a Pokemon gym for the first time! Non poké players won’t care at all, but I finally took my first gym over the weekend! Adam took it from me five minutes later, what a jerk ;). 5. Baby Cecil is just the best. Over the weekend I came across some of Cecil’s baby pics. My mom’s neighbor had a cat that had kittens and he asked if I would be interested in adopting one since he needed to find them good homes. He gave my mom this pic that she emailed to me (Cecil is the one in the background) and I instantly knew I would love him forever! Look at that tiny little face. He’s only three weeks old in this pic! 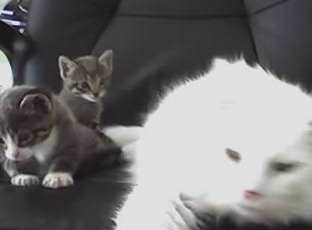 At five weeks old I was sent another picture — omg! What a sassy little boy! At that point I couldn’t wait until he was old enough to come home with me! 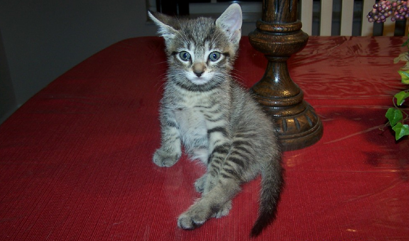 I drove the four hours up to my moms to pick up Cecil when he was about nine weeks old :). He had a lot of health issues as my mom’s neighbor didn’t know how to take care of kittens (obviously he couldn’t even take care of his adult cat since he didn’t have her fixed). None of that mattered though because Cecil’s the best cat in the world and I was happy to go heavily into debt to pay for his vet bills. Okay I wasn’t happy but you do what you gotta do. I just had to work extra hard to pay off my credit card after that first week he was home! Anyone else have any crazy pet adoption stories? How did you find your pet? #1 tip for getting smells out of running clothes/shoes? Have you tried the vinegar idea? I’m scared! Previous Post Something to Consider! Next Post IT’S MY 30TH BIRTHDAY! No idea how you do it, I can’t even look at the treadmill without crying. I need to try some of those washing tips. I run before work so my clothes sit in my bag in the trunk all day. No bueno!! Prayers and fingers crossed for the condo. Aw baby Cecil is so adorable! I don’t have any pictures of Mitten as a kitten since she was an adult when I adopted her. But she is a very small cat so I refer to her as my Mitten kitten any way. Oh and her crazy adoption story: the animal shelter tried to stop me from adopting her. They told me that she had already been adopted once and returned to the shelter because she bites. I really hope you get your condo! When will you know? Cecil was a beautiful little baby. I barely remember baby Chrissy but for some reason baby Jelly is easier to remember. Christmas used to attack him! He did not like Jelly lol. Paul has done the vinegar thing, he says it works! The freezer thing sound interesting but also a lot of work! That’s a pretty genius idea to let your workout clothes dry before you put them in the dirty laundry. I always dread pulling them out to put them in the wash because it smells like something died in there. I’ve always heard vinegar was good for getting smells out of clothes. I used to put it in the fabric softener part of the washing machine a few years ago. I actually don’t mind the treadmill either. I people stare, lol. OMG… Cicil is just perfect!! What a cutie! I miss baby Elly. I am actually the worst at treadmills. I will run outside regardless of the temp, conditions, or really, anything. I hate the treadmill so much. I’ve tried watching videos or reading, and I just can’t seem to get comfortable on it. That’s pretty impressive that you can do a long run on it. I’m pretty sure that will kill me. I was trying to channel you Saturday when I ran on the treadmill!! I was having some pain issues though so to be fair I probably should not have stayed on long anyway! The condo is exciting!! I hope it works out for you. Baby Cecil – I am dying over the cuteness 🙂 he is lucky you found him. I understand vet bills, Tweek very sick when he was young, and BooBoo has been bit a few times now, it adds up so quick. Distilled vinegar does work, but i found baking soda to be better. I like Arm and Hammer better for sports clothes. It has helped more than Tide, Gain, and other things I have tried. I usually do a combo of Woolite and Arm and Hammer for my sports stuff and baking soda in the shoes is good too! 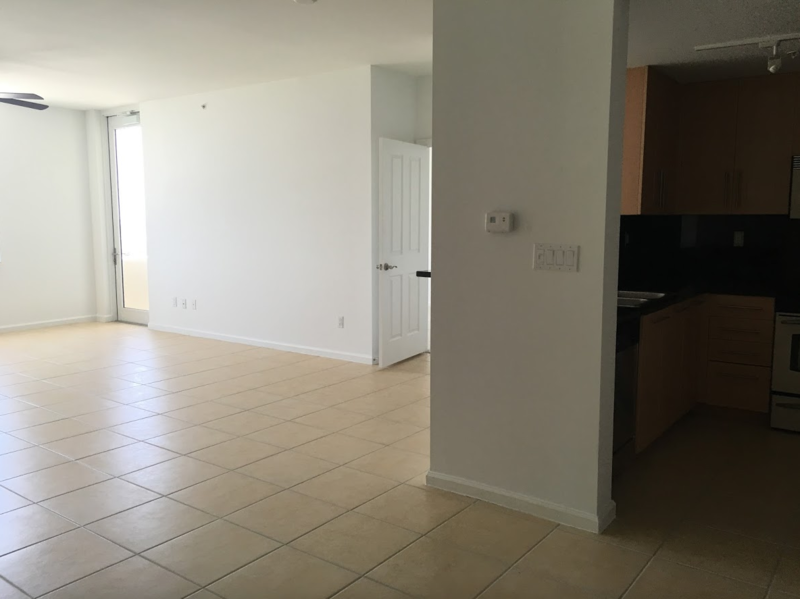 Good luck with the Fort Lauderdale Condo! I love Fort Lauderdale! I miss FL! I’m not from there, but we visit once a year. The vinegar thing legit works! I wash all my sweaty stinky clothes in the same wash, and add 1 cup of vinegar, and the smell is gone. And I wash it all in the hot setting. The vinegar is about the only thing that gets the oil residues that sweat left on the clothes. Don’t add fabric softener, it will NOT help. Hope you get that condo! My stay in Ft Lauderdale was less than exciting – got stuck there for the night when we didn’t get through Customs in time and missed our connecting flight. That was probably the worst Customs I’ve gone through. They just didn’t have enough staff working. But enough about that complaining!… we did soak our water shoes in vinegar water overnight when we returned from Mexico because they smelled like dead fish. After drying them in the sun the stink was gone! Oh, and that worked for our handheld water bottles too. Those things get nasty stinking from all of the running sweat. PU! I haven’t tried it on actual clothing yet!